It’s time to get away. Time to find some peace, some serenity, and reconnect with my spiritual being. My heads been so caught up in school and other life events this summer that I feel my connection to my higher being and the spiritual side of myself is lagging behind. I miss it. So in the morning I’m off to two of my favorite places ever… the Washington Coast and the Olympic National Forest. It was there, last year that I fell in love with Washington State. We camped up on a bluff overlooking the sea and underneath these magnificent trees. 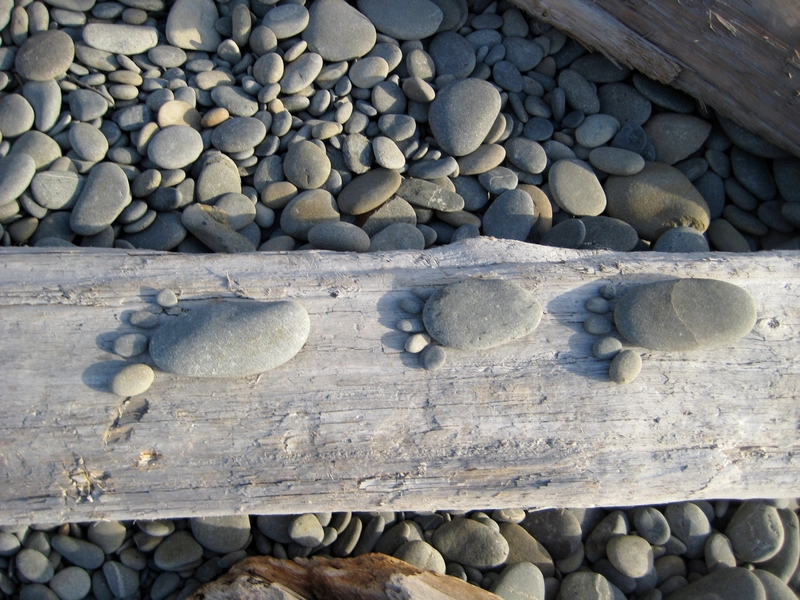 We hiked in the humid Hoh Rain Forest and walked down the sand at Ruby Beach when the tide was out. We studied the stars at night while the waves crashed on the shore. There was something magical about that trip…something magical about that place. When I lived in Florida, I had a friend who rode dirt bikes and needed a temporary place to store them so I offered up my garage. When he came to pick them up, in order to get the dirt bikes into his truck’s trailer he had to park his truck so that is was blocking the residential street that I lived on. We figured it wasn’t that big of a deal, I lived on a block with very little traffic and it would only take 3 minutes or so to get them loaded up. Furthermore, there were other streets that cars could use to get through to get to the main road. After loading up the first bike, a car with a man pulled up in the road and wanted to pass through, but of course could not due to the fact that my friend’s truck was blocking the road. The man rolled down his window, and shouted, “What the #$%* are you doing?” As my friend walked over to the man’s car to apologize and tell him we would be done in 2 minutes, the man shouted more expletives, “$%^#&*#%^$@&” out of his car window and gave us the finger! The man then turned around his car and drove the other way to take another route. We had just proceeded to load up another bike, when another car stopped in the road with a man it in. This man rolled down his window, and started to yell at us. We assumed he would be another angry driver and just as we were getting ready to tell him how sorry we were, we realized he was yelling, “Do you guys need any help?” We said yes, and he got out of his car and helped up load up the rest of the bikes all the while talking about how neat and exciting he thought the sport of Motocross was. He shook hands with us, my friend moved his truck and trailer, and the man was back on his way. Life is all about having the right attitude. Daily, I can choose to be a Hindrance or a Help. I choose the latter!